Reply: Well, it depends what you mean by allergy testing. Skin prick testing for allergies: This is available at Canterbury Health Laboratories (CHL), at the hospital. Needs a GP referral. Wait time about 6 months I am told. The private labs (MedLab and Southern Community Lab) are not offering this service now, following earthquake. 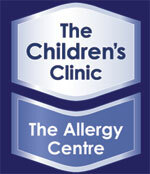 We do skin-prick tests at the Childrens Clinic as part of your paediatric consultation (private). RAST blood testing for allergies: This is available at all the labs. Needs a GP blood request. We organise RAST tests at the Childrens Clinic if this is indicated. Waiting times: We can usually see patients within a week or two.